When we want to protect ourselves and our loved ones, sometimes it’s hard to know which way to turn for information regarding important things like Swine Flu vaccination. I have been closely following all the hype and information regarding the Swine Flu vaccine that will be hitting all our shores in the next 4 weeks, and I want to share the information that our govenments and politicians are not being open about. Firstly I have to put my stake in the ground regarding vaccination generally because Homeopaths world over are known to most often choose to NOT support general vaccine use. There are many reasons for this stance, but one of the most important, is that vaccines by-pass the immune system’s normal defenses. When you catch measles for example, it is a droplet borne viral infection and the mucous membranes in your upper respiratory tract respond first. When we stick a vial of live or infectious agents (that have been rendered less potent) straight into the blood stream, we are asking the body to mobilise its immune system at its deepest level immediately, without all the natural immune pathways that come first. 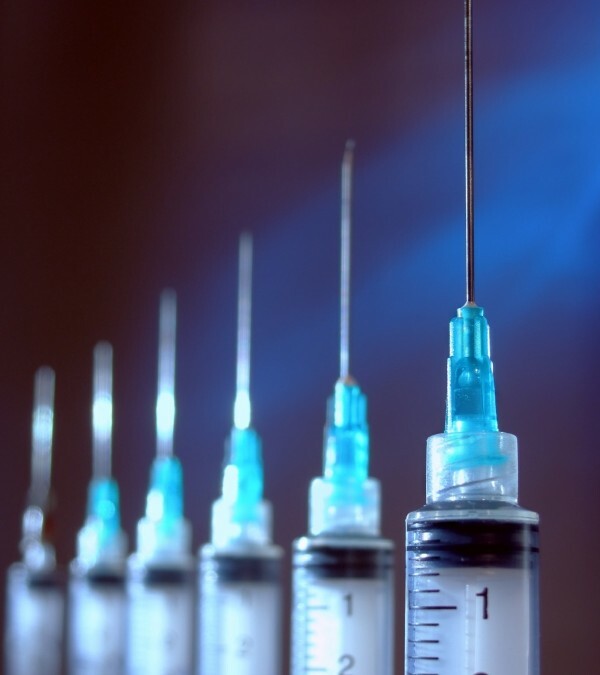 It has not been proven at any stage that vaccines actually STOP people catching the infectious agent…rather it has been shown that vaccines stimulate antibody production in the blood. We know that our immune system is much more complicated than that and antiobodies are just one part of it. Many of my patients vaccinate themselves and their children and many do not. I support whatever my patients want to do, but I find that I treat vaccinosis (chronic ill-health after vaccination) often. But this Swine Flu vaccine is crossing all kinds of health boundaries and so here are my Top 6 Reasons NOT to have this Vaccine. In the Uk for example, there have been 31 deaths so far attributed to the H1N1 virus compared with the normal 8000 people that die most years of ‘normal’ flu (source The Week Issue 726). In 1976 another Swine flu pandemic was feared and never materialised. In the early 90s a measles epidemic was predicted and did not happen either. The most recent Bird Flu pandemic never occurred. Almost all the deaths so far across the world from Swine flu have been due to complications such as pneumonia. As it is highly unlikley that you will die from the influenza, then the best way for a normally healthy person to protect themselves is to have a healthy immune system in the first place. 2. It is likely to contain highly toxic Mercury. There are 3 main pharmaceutical companies manufacturing the vaccine: Baxter, Glaxosmithkline and Novartis. Thimerosol is the commonly used Mercury preservative that was removed from many of the standard children’s vaccines in Australia (please note, it is still used in adult vaccines),and around the world due to the link with vaccine reactions and public outcry. It has been said that the Swine Flu/H1N1 vaccine will contain mercury. Read here for more mercury toxicity information. 3. Flu vaccines are highly ineffective. In a review of 51 studies of the flu vaccine in children 6-24 months it was decided that it was not more effective then a placebo and asthmatic children who get the flu vaccine [Flumist in activated flu vaccine – Ed] are more at risk for hospitalization than children who do not get the vaccine.” Reference: The American Thoracic Society’s 105th International Conference, May 15-20, 2009. (Thanks to an excllent report by Dr tenpenny.com for this data). 4. They contain highly dangerous substances such as adjuvants. These are substances added to allow faster manufacturing of the vaccine and to ‘boost’ its action. If they work I ask myself…why do we need to ‘boost’ them? Novartis and Glaxosmithkline are both using an oil based adjuvant called Squalene in their H1N1/Swine flu vaccine. (ALL oil based adjuvants have been categorically shown to be toxic to rats). Squalene is a substance present in our body in the nervous system but when we inject squalene into our bloodstream from an outside source, the body attacks it as something to resist and consequentially, attacks the squalene in our own body. This is why vaccinations appear to cause auto-immune diseases such as MS, lupus, Guillan-Barre syndrome and Rheumatoid Arthritis. See this excellent Mercola post for more information about squalene. 5. The last Swine flu vaccine in 1976 was a health disaster! Swine flu broke out in a military base in 1976 and people were vaccinated with a hurriedly prepared “Swine Flu Vaccine”. The result has been catalogued and reported as an unmitigated health disaster. People dropped dead soon after the vaccine was given and many suffered paralysis. The vaccine was withdrawn and there was no pandemic! More here. 6. Normal vaccine SAFETY procedures are being by-passed! The US government has recently given the vaccine manufacturers leave to expediate the manufacture of this vaccine by by-passing normal safety tests and procedures that are in place to protect YOU. The adjuvant Squalene will not be tested in spite of knowing that in tests on rats it caused ALL rats to develop an MS-like disease that left them crippled, dragging their paralyzed hindquarters across their cages. The vaccine itself is currently being tested in several nations including Australia, the USA and the UK on our children. They will be given the vaccine and then followed up with blood tests afterwards. This is too LATE for your child if they have a serious reaction. These are just 6 reasons to say no and there are many more. Finally Homeopaths treat flu effectively all the time. If you want to get yourself a homeopathic kit go here. To find out for free how to treat infuenza with Homeopathy read my influenza article. This might be the best health investment you make right now! If you want regular homeopathic inspiration from The Homeopathic Coach, join her ezine and be the first in line for new tips and offers as they are released!